Dark Amber colored Stone Bracelet on a stretch band for easy on off. 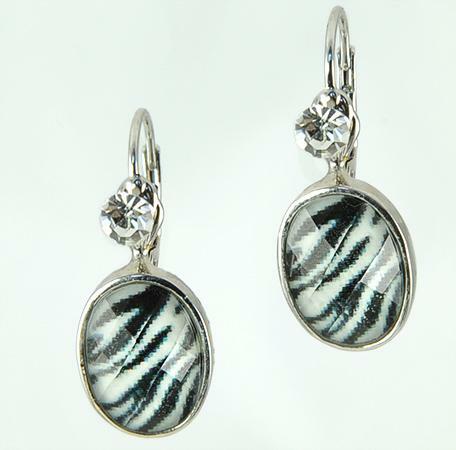 Austrian Crystal and Zebra Print Earrings on locking Euro-Wire. Only one pair left.